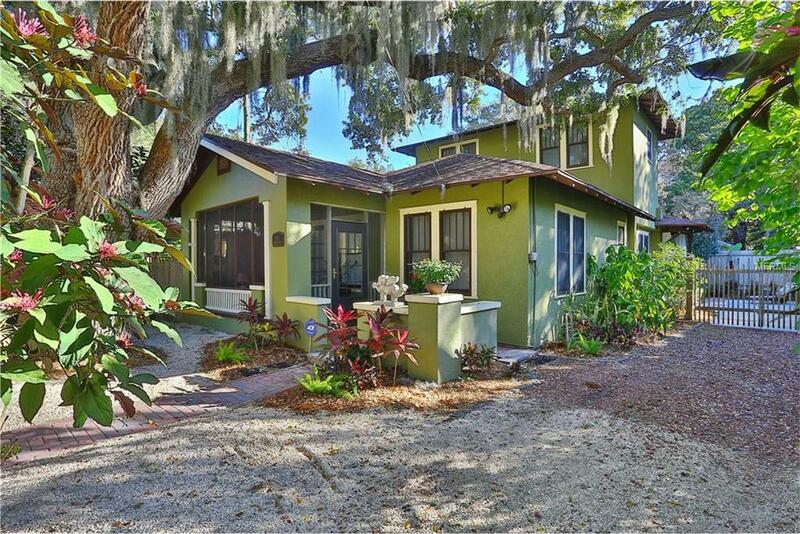 A charming 1926 Craftsman Style Bungalow is nestled among the majestic Live Oaks of historic Indian Beach/Sapphire Shores. 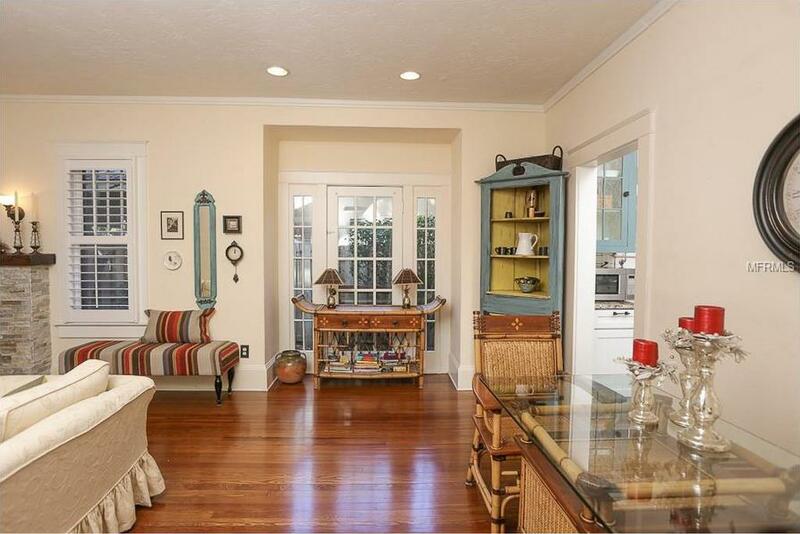 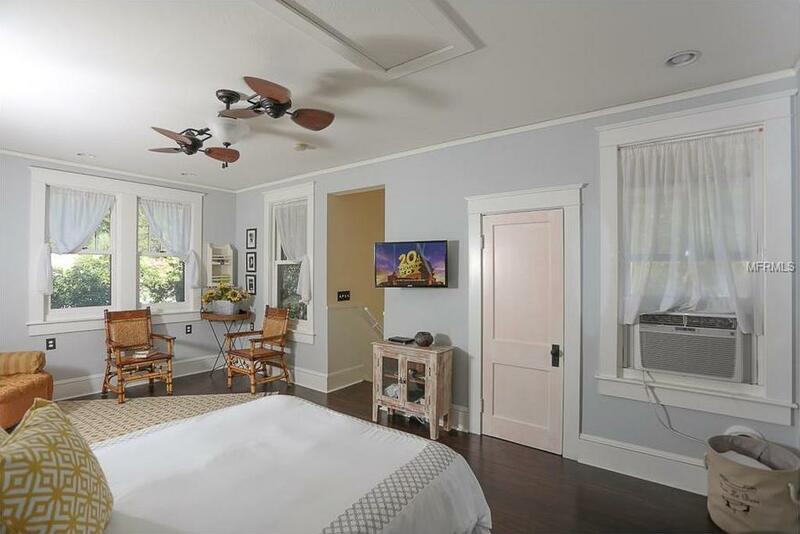 The first floor has the original wood flooring which has all been refinished. 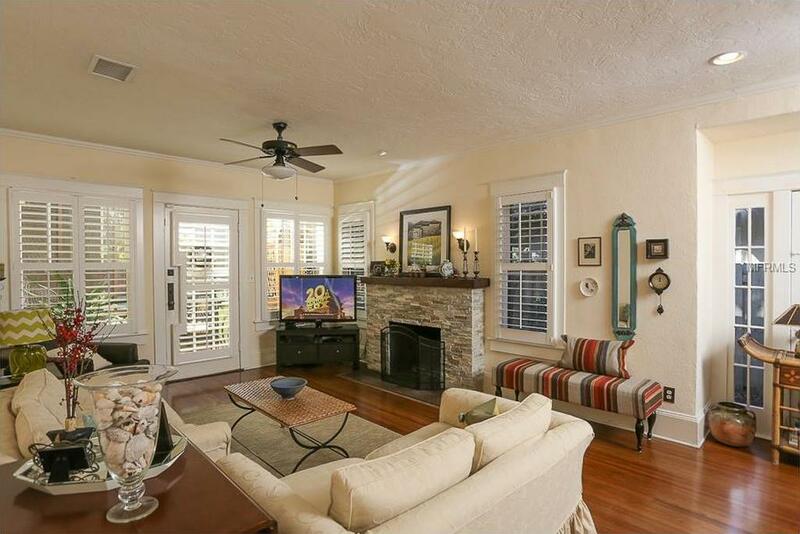 Crown molding/9 ft ceilings, a limestone gas fireplace, with antique lighting, a single French door and custom plantation shutters. 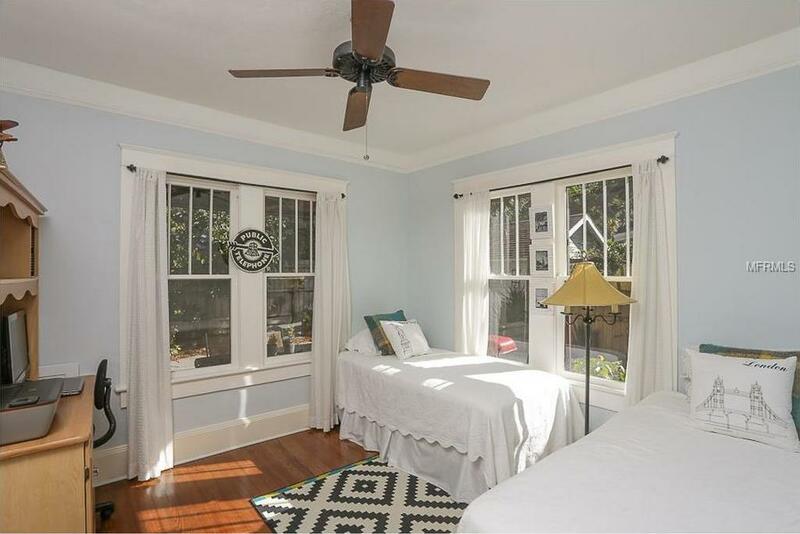 Two bedrooms downstairs give the option of a Master and guest room and/or guest room/office. 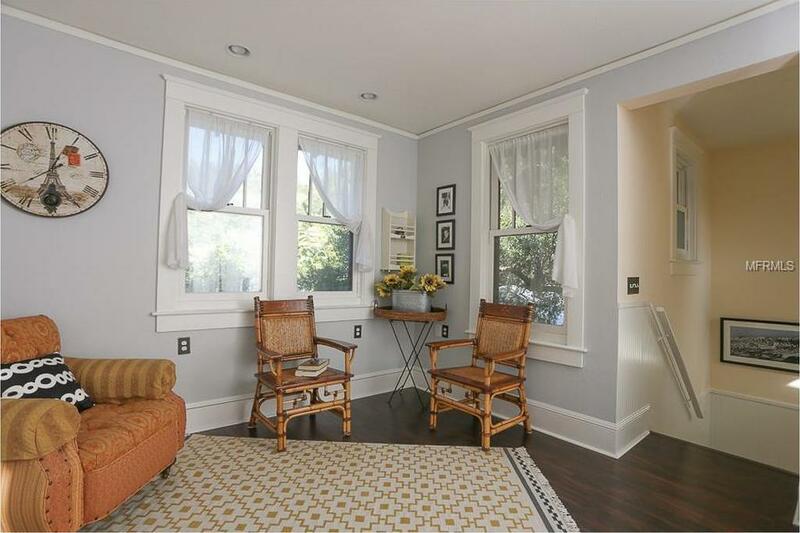 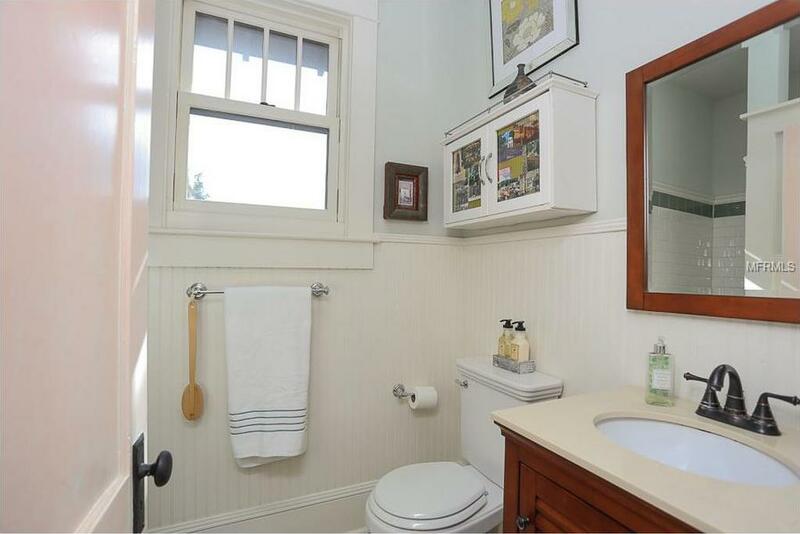 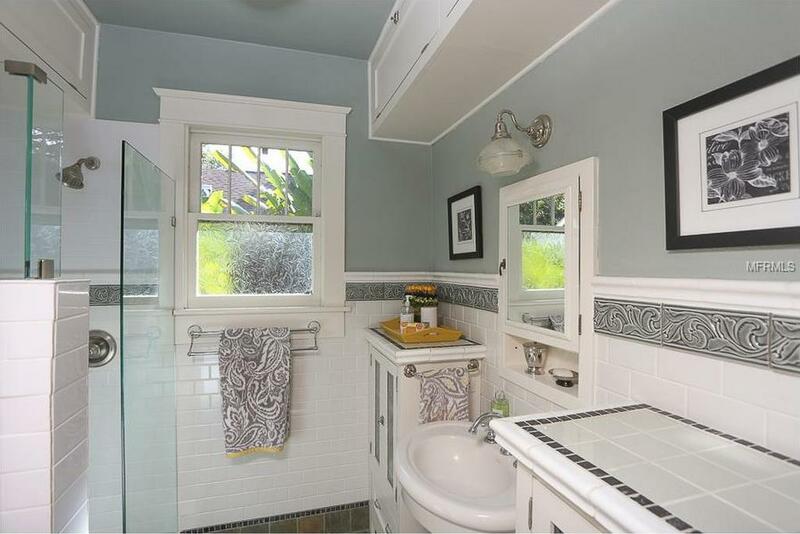 The full bath boasts original cupboards, new shower, pedestal sink and beautiful tile detailing. 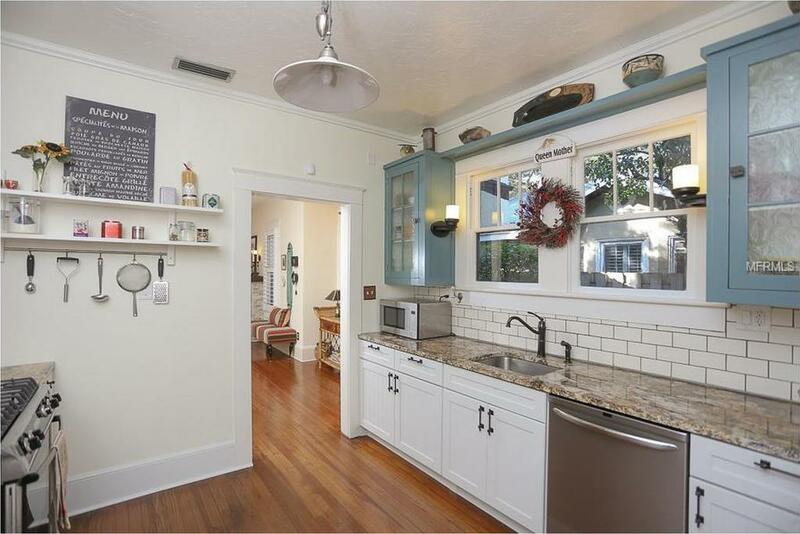 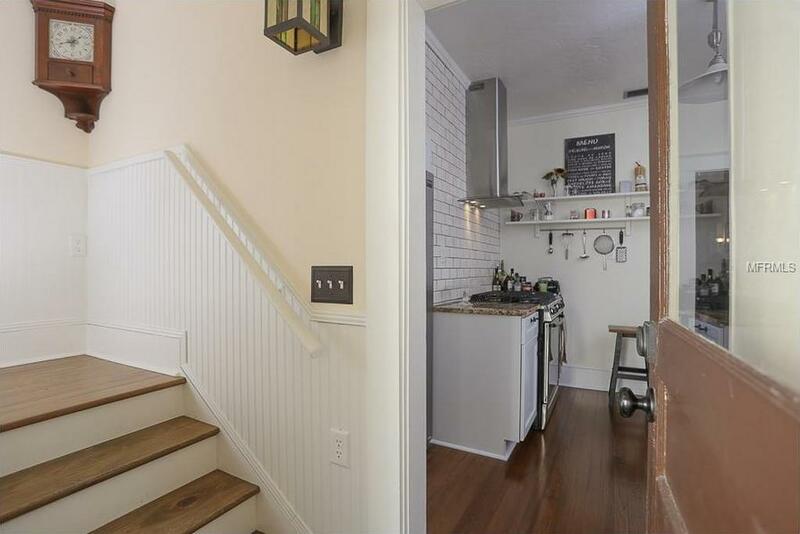 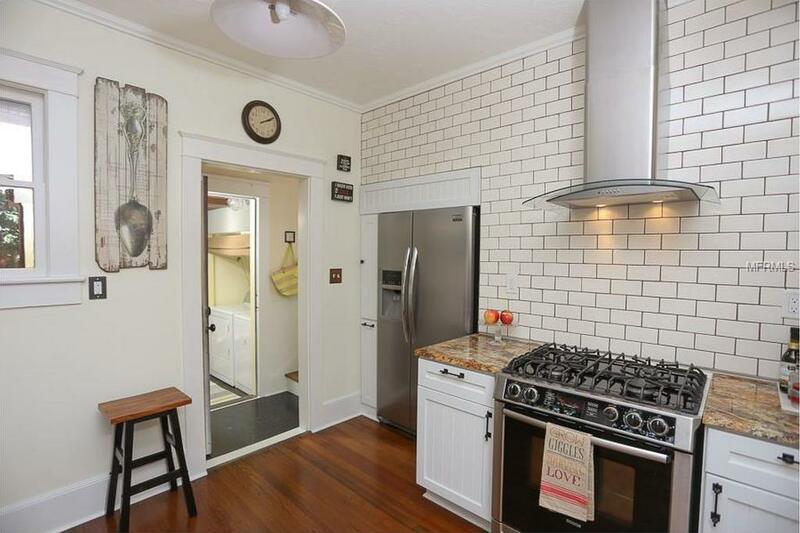 A renovated kitchen with Kitchen Maid maple cabinetry, stainless steel/granite and a crackled/glazed tile wall leading to the rear porch and upstairs. 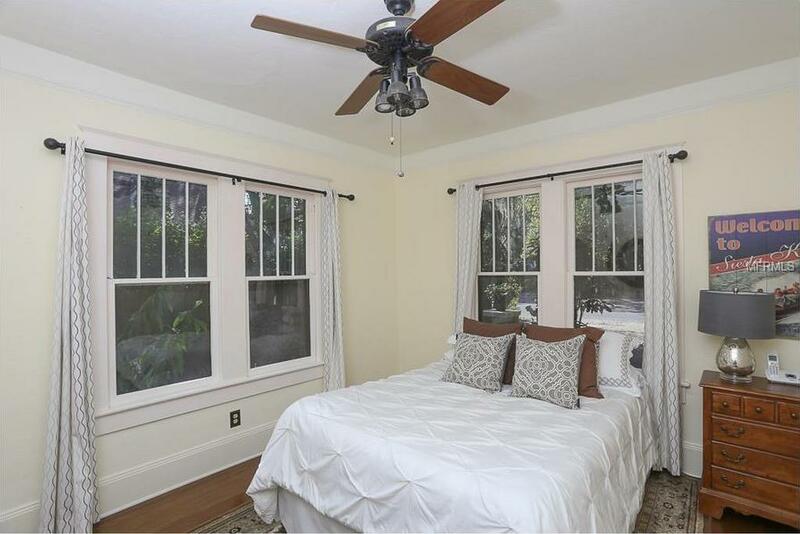 A newer upstairs addition features a master bedroom with plenty of natural light and second full bath. 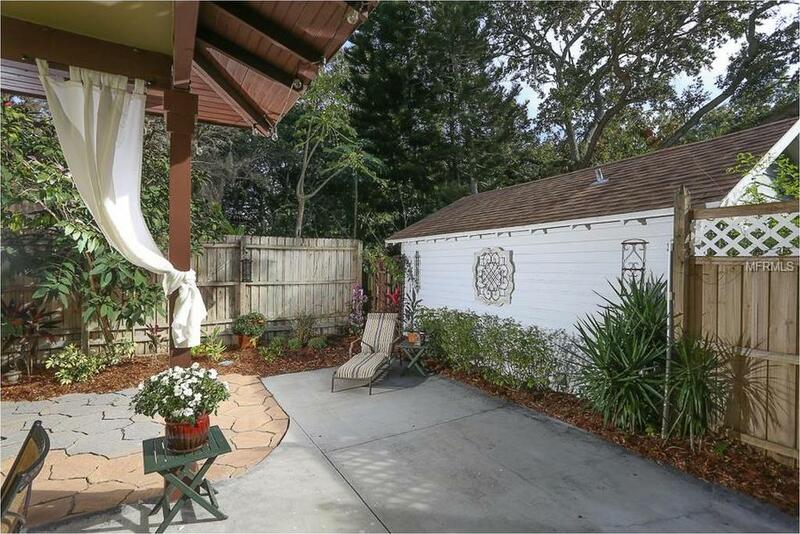 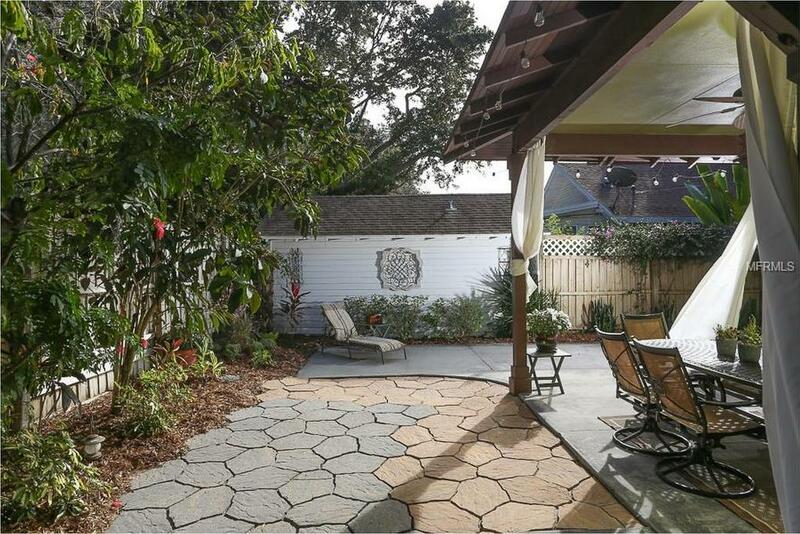 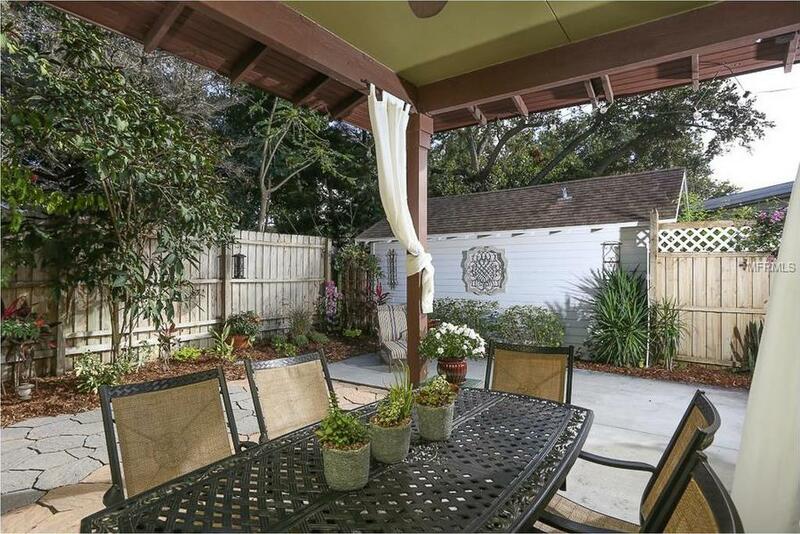 Lovely fenced in backyard with a covered portico. 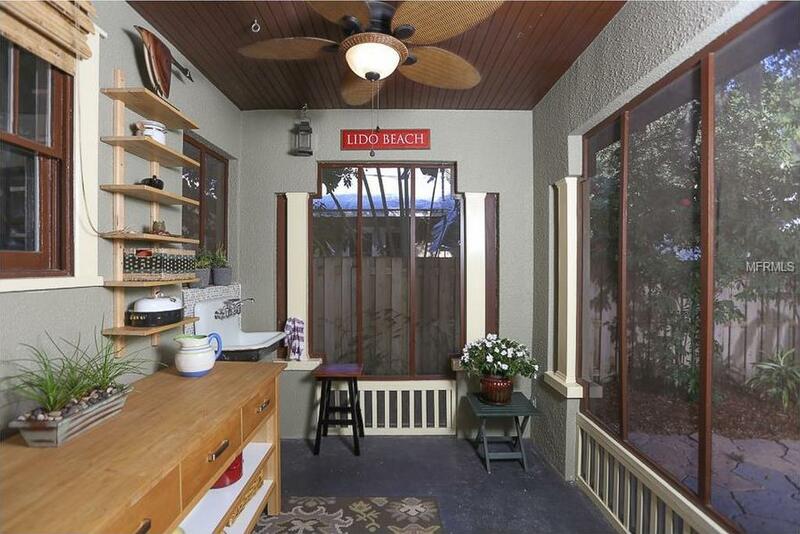 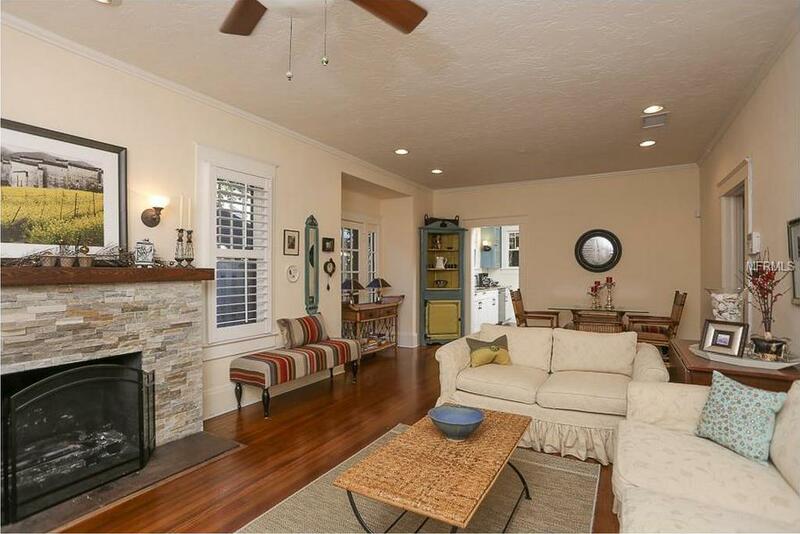 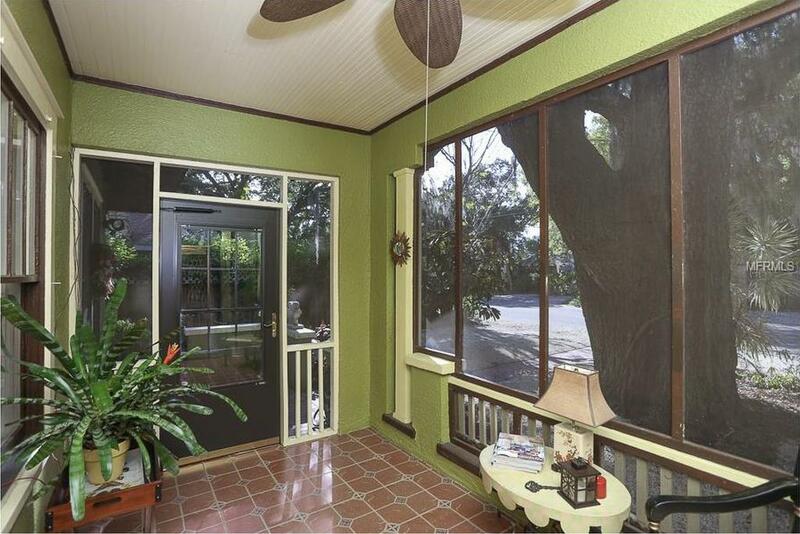 Old Florida at its best with a perfect blend of modern convenience and vintage style. 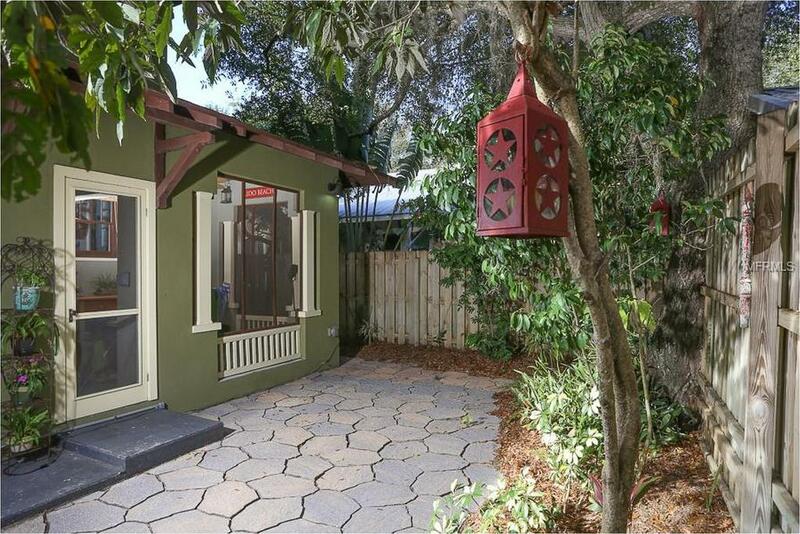 Minutes from world famous white-sand beaches, shopping on St Armand's or UTC Mall and numerous cultural experience of The Ringling Museum, The Asolo.